There is often no road and the coach is taken at random through the forest… But the great miracle is the sudden pinches, looking as if they were almost perpendicular, down which the coach is taken – and then the equally sharp ascents – not straight, but at a sharp angle, up and around which the coach is whirled. Anthony Trollope was describing the Cobb & Co coach trip on the track between Brisbane and Gympie, but he could have featured most tracks in Queensland. Cobb & Co’s horse drawn coaches went the length and breadth of the colony, from Cooktown and the Palmer River Goldfields to Thargomindah in the southwest, and from Cloncurry in the northwest to Tallebudgera in the southeast. The company started running coaches in Queensland in January 1866, although Cobb & Co had been on the tracks of Victoria since 1854, in New South Wales since 1862, and even in New Zealand since 1861. Cobb & Co was the biggest coaching company in Australia. Cobb & Co drivers and their American style ‘thoroughbrace’ coach with leather strap suspension, journeyed over all extremes of terrain. Cobb & Co coaches went through dense rainforest in coastal areas. It took many months to cut a track through the forests between Brisbane and the Gympie goldfields in 1868. Further north the tracks inland from Port Douglas and Cooktown negotiated mountain ranges as well as tropical jungle. Out west around Boulia, Windorah and Thargomindah coaches lumbered over arid, sun-scorched and seemingly endless plains. Finding enough fodder and water for the horses at remote change stations was often a challenge and during the long drought in 1902 Cobb & Co nearly went broke because of the cost of buying and carting fodder. Soon after the development of the Aramac country we got a coach service from Clermont to Aramac, and many a trip I took on Cobb’s coach when it wasn’t convenient to take my own buggy. These trips were often wet or dry; in the former case we had to walk over long distances of boggy ground, every now and then having to lever out the coach that had sunk to its axles. The shades of evening sometimes overtook us, and an impromptu camp had to be made without food and with many a mosquito as companion. Tracks were hundreds of kilometres of potholes, ruts and dust and coach travel was no picnic for passengers. Many experienced motion sickness with the coach body continually rocking back and forward (and back and forward, and back and forward) on the leather suspension. Ladies often took a towel on the trip; men a hip flask. If a coach could not get up a steep hill passengers were expected to get out and walk, and even push. If it got bogged they had to help dig it out. After a couple of hours on the rough tracks the driver would blow his bugle, and soon the coach would pull into a change station. Here the tired horses were changed for fresh ones that could keep up a good canter. This made stagecoaches just about the fastest things on the track, averaging about 15 km per hour. Passengers could ‘stretch their legs’ for a few moments and shake off the dust before squeezing back into the coach for the next section. It was a smelly trip as each passenger was allowed just 14 lb (6 kilos) of luggage for a journey that might take several days. On some routes lunch was eaten, or drunk, at a roadside hotel. In more remote areas lunch was provided by the family of the groom who cared for the horses, and consisted of whatever could be shot or acquired locally. Lunchtime fare out west reflected what could be grown or gathered locally, like the meal at Waldegrave, between Yuleba and Surat. Who will forget, the meal served at Loder’s mail change? Roasted goat, prickly pear jam and jelly, splendid home-made bread, to say nothing of the hot scones and 'nanny’s' butter, which made up a really 'rich' meal, and one that cheered the heart of the traveller for the next stage of the journey. Coach travel was as expensive as it was uncomfortable. Passengers paid the equivalent of a week’s wage for just one day’s travel of around 150 kilometres. Maintaining all the staff and horses at the changes along the route made coaching a very expensive operation to run. Consequently, most people travelled only rarely by coach. Others rolled their swags and walked to the next job in a shearing shed or cane field. Yet Cobb & Co, together with their smaller coaching competitors, was vitally important to everyone in the Queensland ‘Bush’, and Queensland in this era was all bush. People relied on the mail, and the mail was not only letters but any of a thousand items that could be purchased from catalogues by mail order. Pots and pans, cloth, tools, lamps; everything came wrapped in brown paper on a coach. Many of those who did ride on coaches, such as travelling clergymen, teachers, government officials and even commercial travellers (salesmen) also brought their kind of civilisation to the regions. Cobb & Co operated in conjunction with other forms of transport such as coastal shipping and the railways. 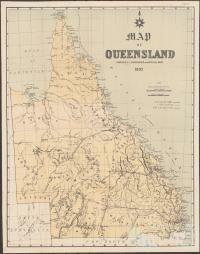 Cobb & Co’s first service in Queensland in 1866 was on a coordinated route with the new Queensland Railway between Brisbane and Toowoomba. 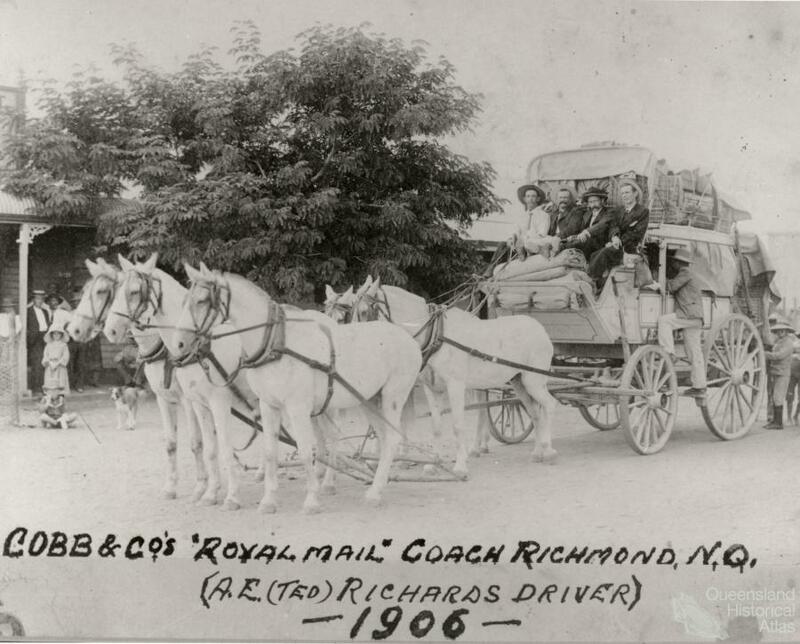 The journey started in Brisbane with a coach to Ipswich, then train to Bigge’s Camp (Grandchester), and finally another coach to go up the Range to Toowoomba. The connection between coaches and the railways continued until the 1920s. Railway expansion actually created new opportunities for coach companies. Trains put people and goods off at the railway stations. Coaches then conveyed them to outlying towns. Transport in the era of the horse and bullock left legacies still evident today. Roads tended to follow rivers and streams as water was needed for the animals which provided the ‘horsepower’. Western towns grew up where roads met and water was plentiful. Crossing mountain ranges was difficult with animal powered transport. Roads from coastal ports headed west through gaps in the ranges. Today’s major railway lines reflect the routes of the nineteenth century. 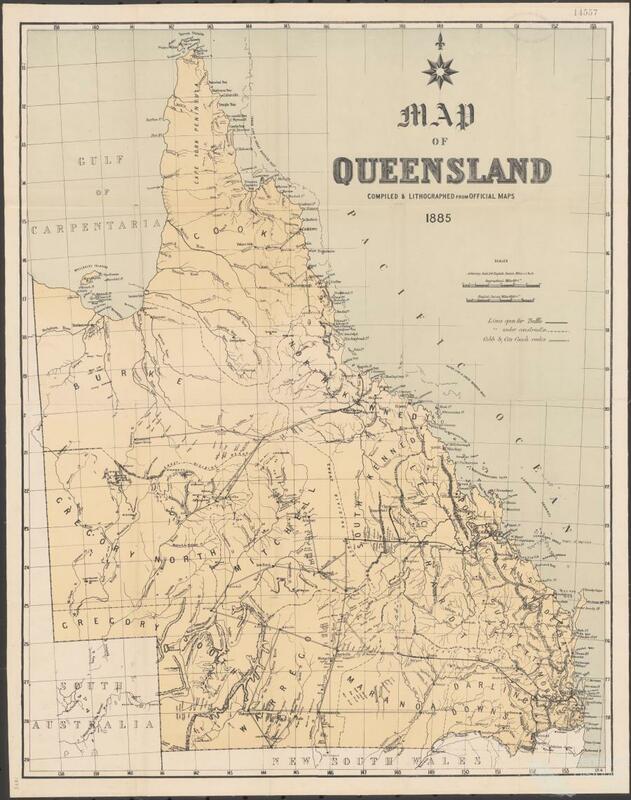 Coastal towns such as Rockhampton, Townsville and Cairns filled the role as transport and communication centres for far western Queensland towns in a way which Brisbane, the capital, in the remote southeast, could not. 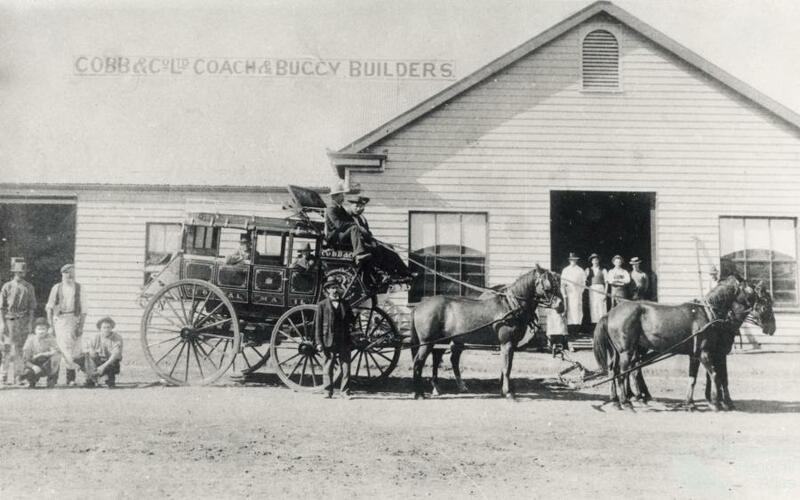 Cobb & Co’s last coach service between Yuleba and Surat ceased in 1924. 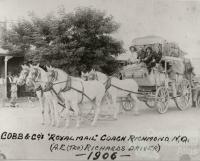 Coach travel had thrived in combination with the railways, but motor cars and trucks made horse drawn vehicles obsolete.